Custom round Notary Seal Embosser for Massachusetts state. 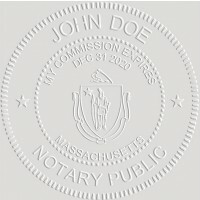 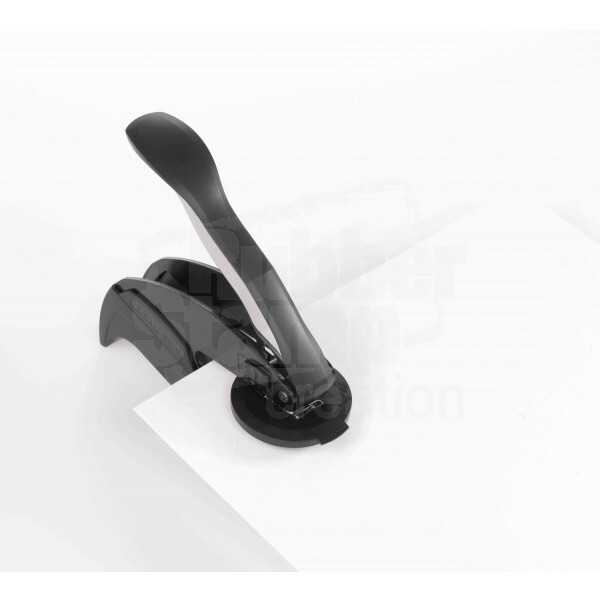 Designed with new mechanism to create embossed images with minimal effort. 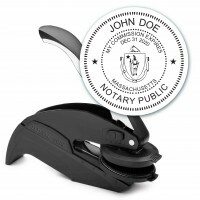 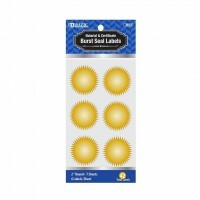 Includes package of 42 Gold Notary Seal Labels as a BONUS! 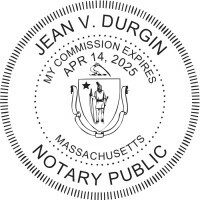 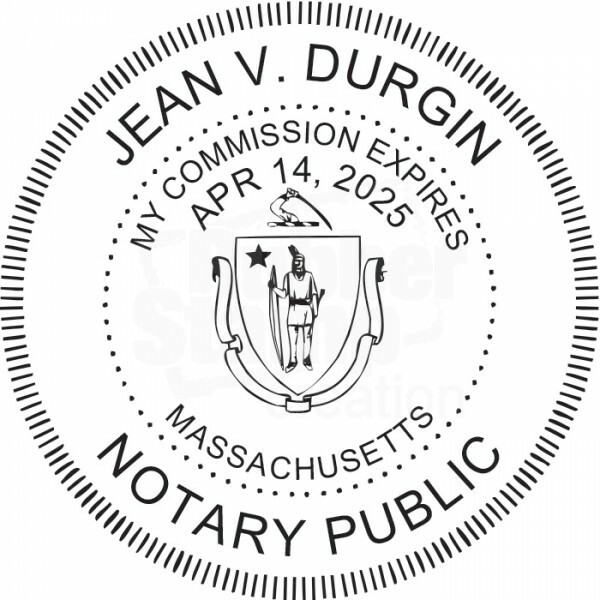 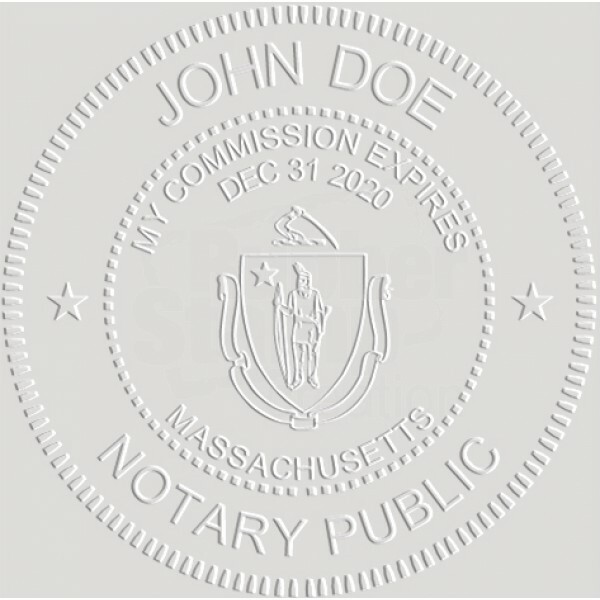 The seal must contain the the Notary's name, the words "Notary Public", "Commonwealth of Massachusetts" or "Massachusetts", "My commission expires on ...", and and a facsimile of the Great Seal of Commonwealth of Massachusetts.